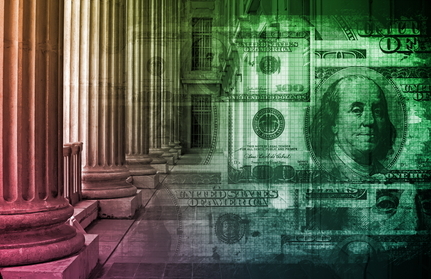 New York’s highest court recently announced that account holders do not have a private right of action to sue banks for alleged violations of the Exempt Income Protection Act (“EIPA”). Cruz v. TD Bank, 2013, NY Slip. Op. 07762 (November 21, 2013). EIPA exempts certain Social Security, veterans, disability and unemployment benefits from creditor restraining orders and requires banks to inform affected account holders of their right to obtain exemptions from collection. In two separate but subsequently consolidated cases, judgment debtors commenced lawsuits in District Court for the Southern District of New York against T.D. Bank and Capital One Bank following bank account restraints served by third-party creditors. See Cruz v. TD Bank, NA, Case No. 12-1200-CV; Martinez v. Capital One Bank, NA, Case No. 12-1342-CV. In both cases, plaintiffs alleged, among other things, that the banks failed to provide mandatory exemption notices, restrained their accounts, and charged fees in violation of EIPA. Defendant banks moved to dismiss, claiming EIPA affords no private right to sue. District Court granted the defendant banks’ motions to dismiss in both cases, agreeing that EIPA does not permit account holders to seek damages from their banks for EIPA violations. See Cruz v. TD Bank, 855 F. Supp. 2d 157 (S.D.N.Y. 2012); Martinez v. Capital One Bank, N.A., 863 F. Supp. 2d 256 (S.D.N.Y. 2012). The plaintiffs appealed to the Court of Appeals for the Second Circuit. The cases were consolidated for purposes of appeal, Cruz v. TD Bank, N.A., 711 F.3d 261 (2d. Cir. 2013), concluding both cases presented unresolved questions of New York law. Two questions were certified to the New York Court of Appeals: (i) whether judgment debtors have a private right of action for money damages and injunctive relief against banks that violate EIPA; and (ii) whether judgment-debtors may nonetheless obtain other relief against banks violating EIPA through special proceedings under N.Y. CPLR Article 52. Id. at 271. On November 21, 2013, the New York Court of Appeals unanimously confirmed EIPA does not authorize a private right of action for damages against banks. At the same time, the Court determined judgment-debtors may obtain relief from EIPA violations through CPLR Article 52 special proceedings. Cruz v. TD Bank, 2013 NY Slip Op. 07762 (November 21, 2013). Article 52 allows a judgment-debtor to commence a special proceeding to determine rights in the property or debt, and permits the court to vacate execution of an order, void a levy, direct the disposition of the property or debt, or direct that damages be awarded. The Court explained that “recognition of new liability for banks of the type proposed by plaintiffs would be incompatible with the legislative scheme, which recognizes the bank’s limited role as garnishee.” Id. at * 10. It concluded that although the “Legislature intended to use banks as a conduit for information so that exemption rights would be timely communicated to judgment-debtors,” it did not intend to recognize a new type of liability against banks or to “create yet another opportunity for litigation on the back end after an improper restraint was imposed.” Id. at * 11. Although the ruling makes clear that aggrieved account holders have no direct right of action against their banks for EIPA violations, they may still secure damages by commencing an action under CPLR Article 52. The takeaway is that banks must meticulously adhere to all EIPA obligations to minimize litigation risk and potential findings of liability. If these issues are of concern to you, reach out to one of our attorneys who understand both EIPA and Article 52, and can provide appropriate counseling and guidance. Melissa A. Guseynov, an associate of the firm, contributed research and reporting for this article. Richard E. Weltman and Michael L. Moskowitz founded Weltman & Moskowitz in 1987 to resolve business, bankruptcy and creditors’ rights challenges, but with a better value proposition. 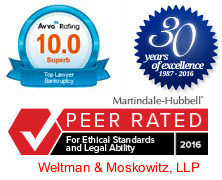 Weltman & Moskowitz serves clients in New York, Long Island and New Jersey. The firm concentrates on lender’s rights, corporate insolvency, resolution of commercial disputes, loan workouts and modifications, shareholder and partnership contests, business divorce, dissolution, and business and bankruptcy litigation, arbitration, and mediation of all types. The firm also assists with corporation, partnership, and limited liability company counseling and operation, and preparing and negotiating many kinds of secured lending, leasing, equity, buy-sell, consulting, technology, and joint venture agreements. Michael and Richard may be reached at 212.684.7800, 201.794.7500, or via email at mlm@weltmosk.com or rew@weltmosk.com. See N.Y. CPLR 5239 and 5240.